You can find Efcon®omy wastewater samplers on standard wastewater treatment plant (WWTP) applications. Independant functioning or as a slave to a master PLC (Programmable Logic Controller). The Jazz features all standard applications and can be prepared for BUS-systems. The Vision is used for customised applications and can be adjusted for ethernet, data logging, open channel flowmeter, pumpcontrol and more. Dowload the Efcon®omy Wastewater Samplers Datasheet (PDF) to discuss it with your colleagues via e-mail or a printed version. 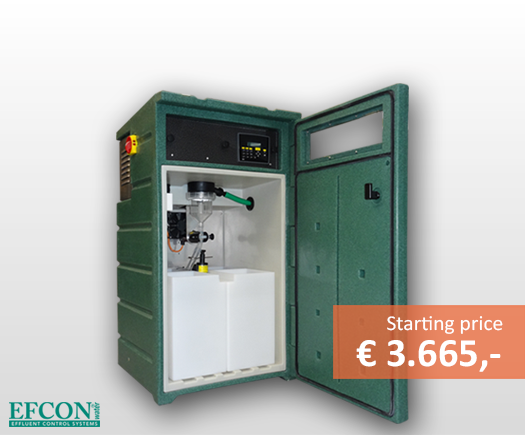 Standard Efcon®omy wastewater samplers (with sampler, cooler, heater and PLC) start at € 3.665,-. Obviously there is a range of options possible. More information about our prices / distribution network? 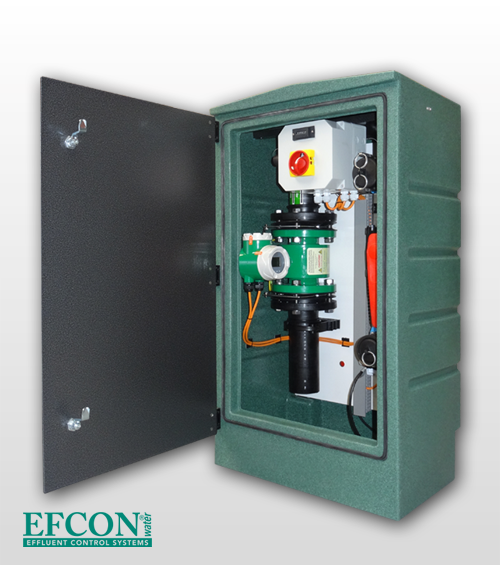 Efcon®omy wastewater samplers can be supplemented with special electronics or hardware cabinets and equipment such as built-in flowmeters, compressors, analytical instruments and more. Learn more on the Wastewater Sampling Specials page. Efcon® Water offers full support with annual service and on site support in The Netherlands & Belgium. Throughout Europe we support several specialised distributers. Spare parts are in stock at our distributers but can also be shipped globally with UPS, DHL, FedEx etc. Go to overview of wastewater sampler enclosures. Go to overview of wastewater sampling techniques. In this video we show the production of our Efcon® plastic cabinets. These patented cabinets, or 'enclosures', will eventually be used as robust and chemical resistent wastewater samplers.